and black cats and other beasties. 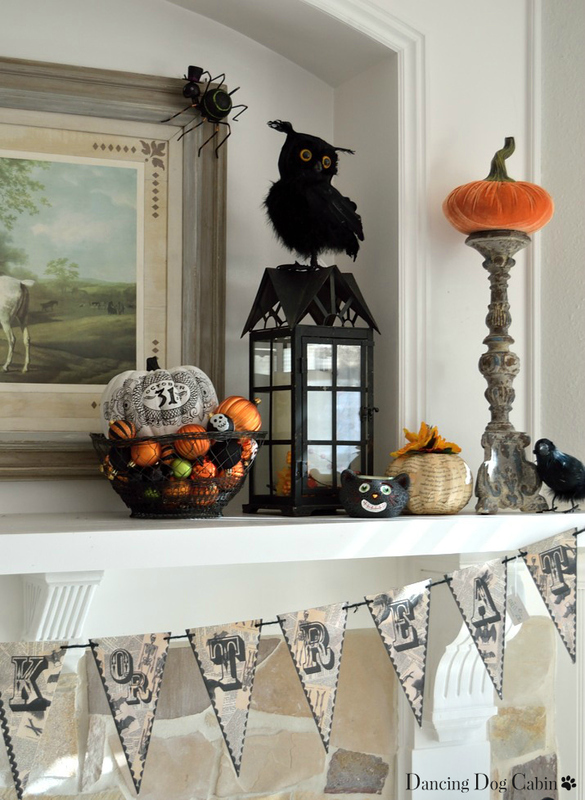 That means it's time to channel my inner kid, get a lot less serious about decorating, and weave some of the fun and whimsy and magic that comes along with October 31 into my house....with just the right amount of scary, creepy (yes, that's you Mr. Spider with your top hat), and macabre. Things that are too disturbing and gruesome need not apply at my home. 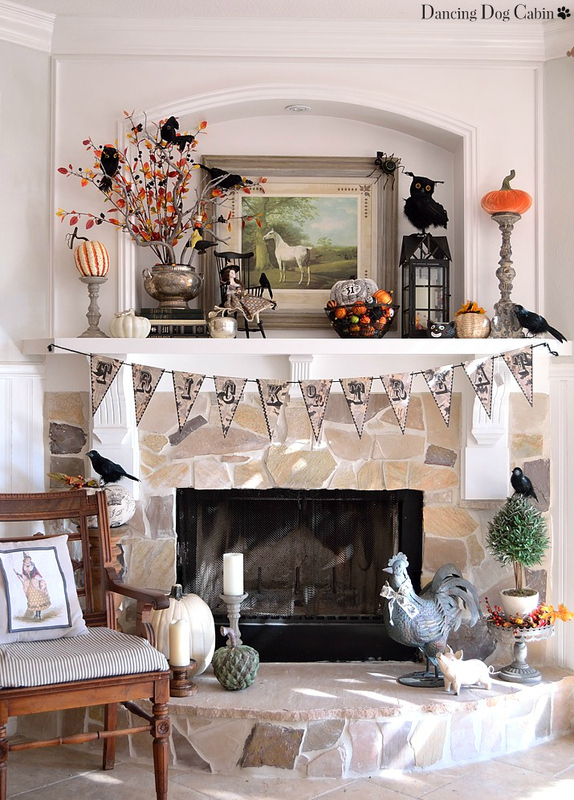 A few weeks ago, I threw some pumpkins up on to my fireplace mantle, which I shared in my last post (click here). 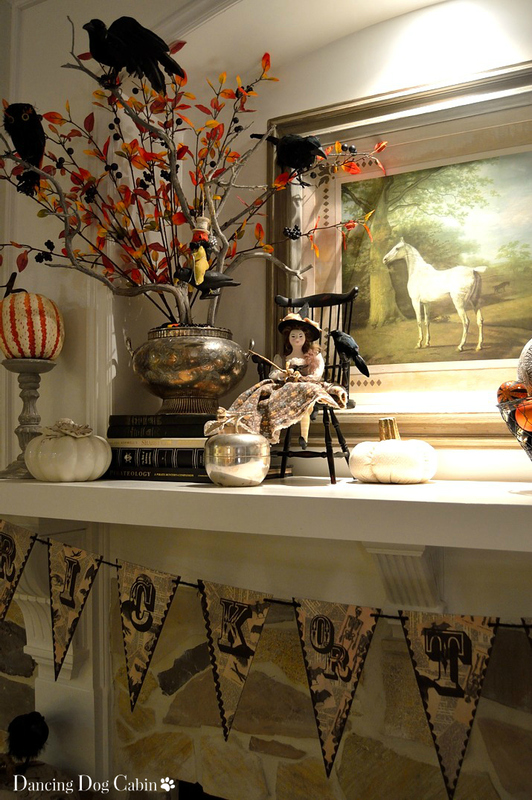 Since then, I've been adding just the right amount of Halloween to the mantle area and hearth. 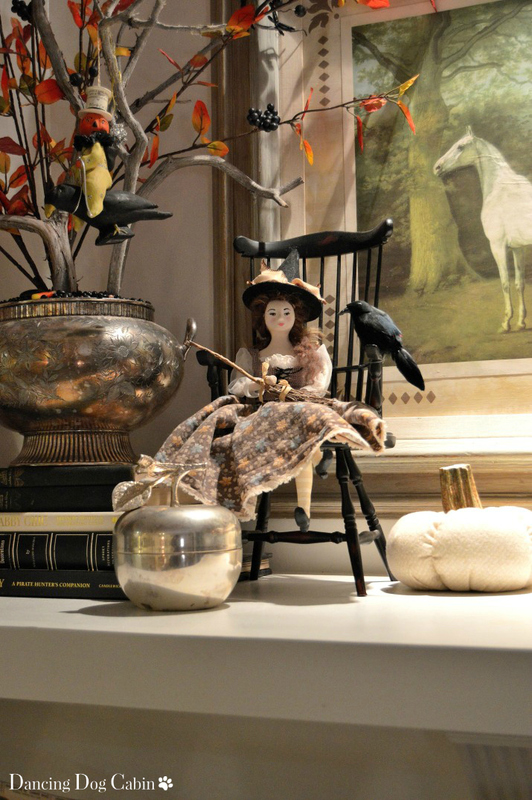 on this last of dear October's days. Beautifully done!! I love it all!! I'm visiting from Share your cup Thursday. 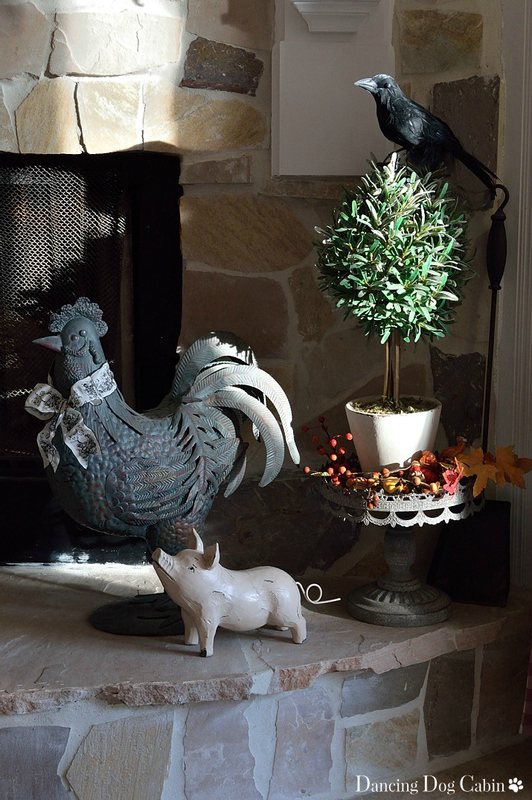 Your mantle looks great, I enjoyed looking at all of the fun stuff you gathered together for it. Thanks Gina! 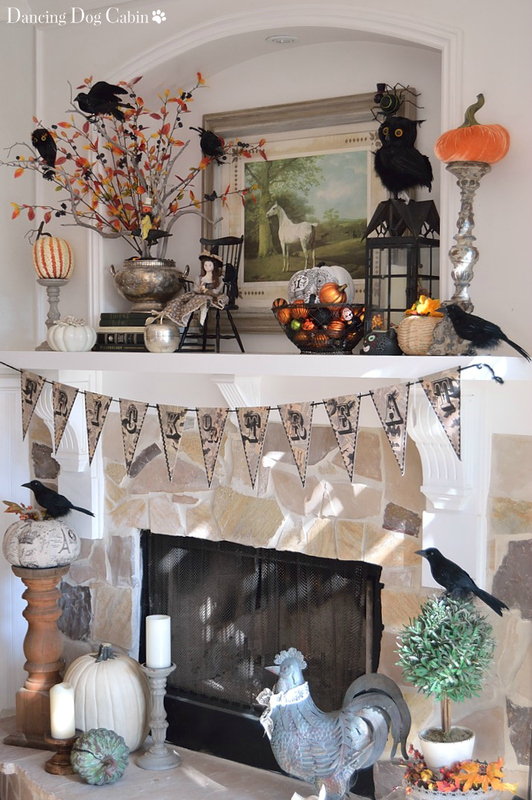 I'm glad you enjoyed my Halloween mantle! awesome! 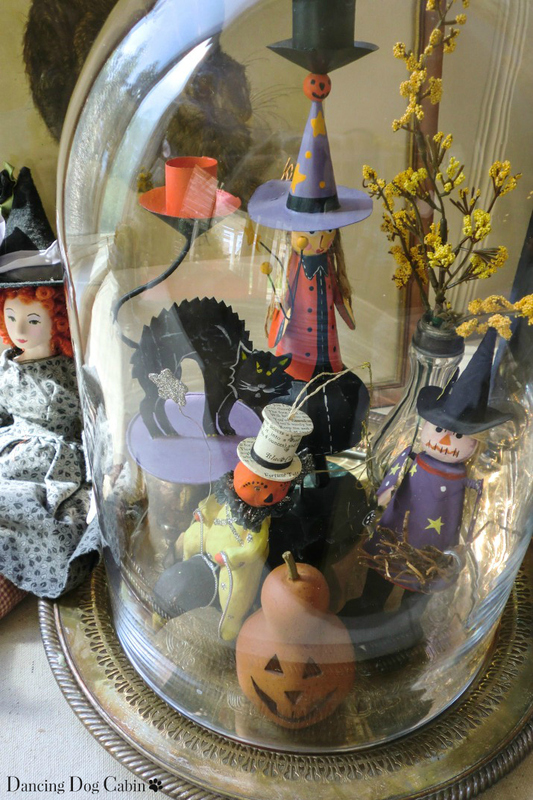 love this look of vintage style pieces and also more cute spooky Halloween items. everything looks great! Visiting you today via Mimi's meme. 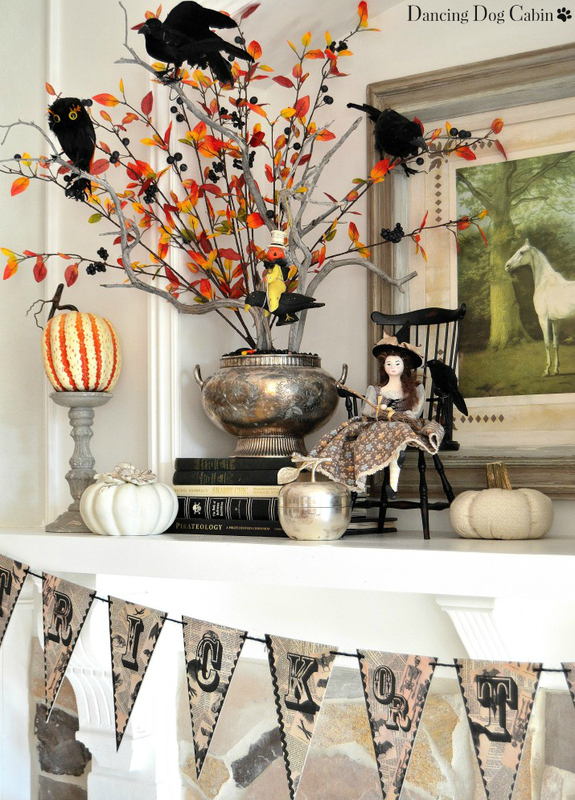 Your mantel is amazingly styled for Halloween; I especially love your careful arrangement of all your scary characters, and how they mesh so well re: colour, pattern, texture and shape! Beautifully spooky, Melissa! Thanks for sharing at Best of the Weekend! 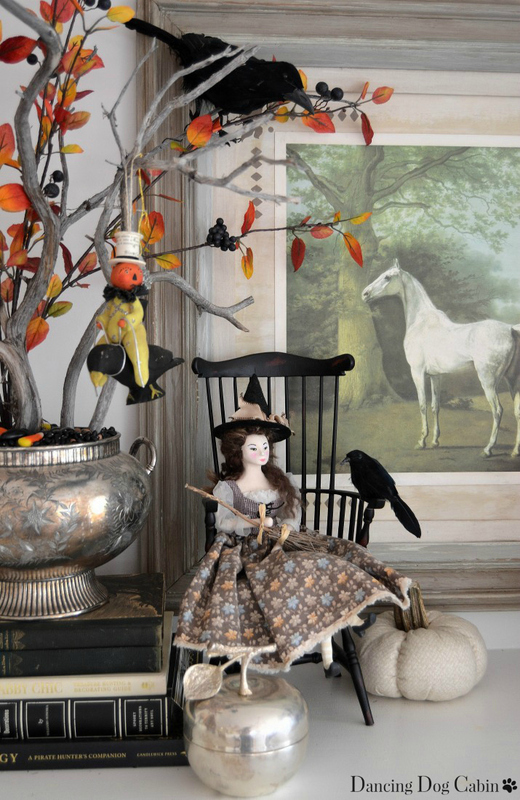 Melissa, this is the exact same style of Halloween that I love! Whimsical, fun, and vintage looking! 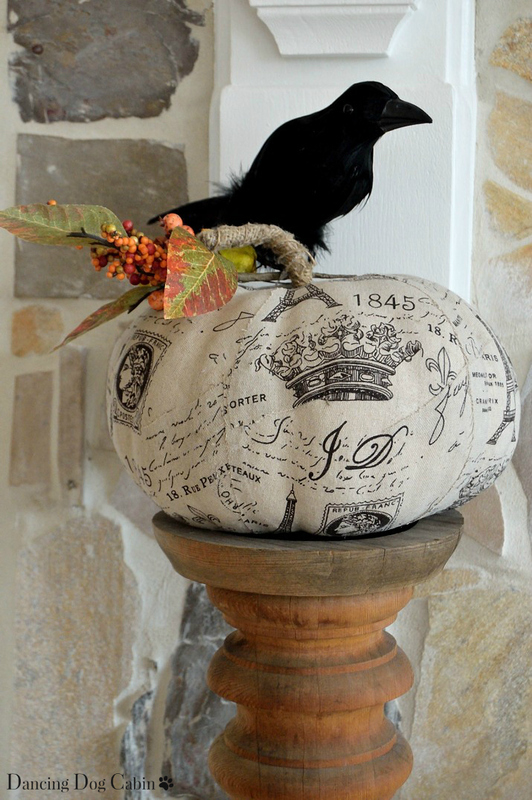 Love that pumpkin man riding the crow! Thanks for sharing with SYC. Melissa this is awesome! I love your witch doll! Where did you find her? I want one! Thanks for joining Home Sweet Home! Thank you! I actually made the witch doll; the body is cloth (with wired limbs) and the head is made from a clay that you can 'fire' in your kitchen oven. I came back to see where you got that doll. She is fabulous! Thanks for answering! Hi Melissa, just hopping back to let you know that I will be featuring you today at SYC. 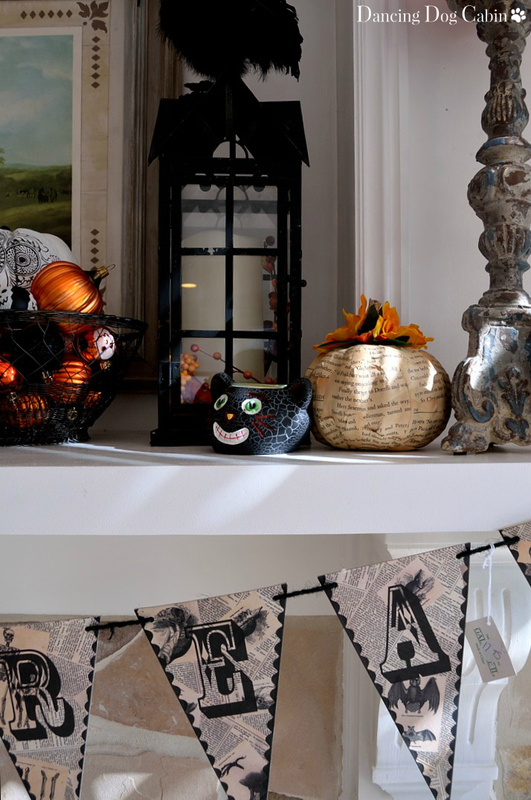 I love how you pretty decorated your mantel for Halloween! Thanks for featuring me Jenna! 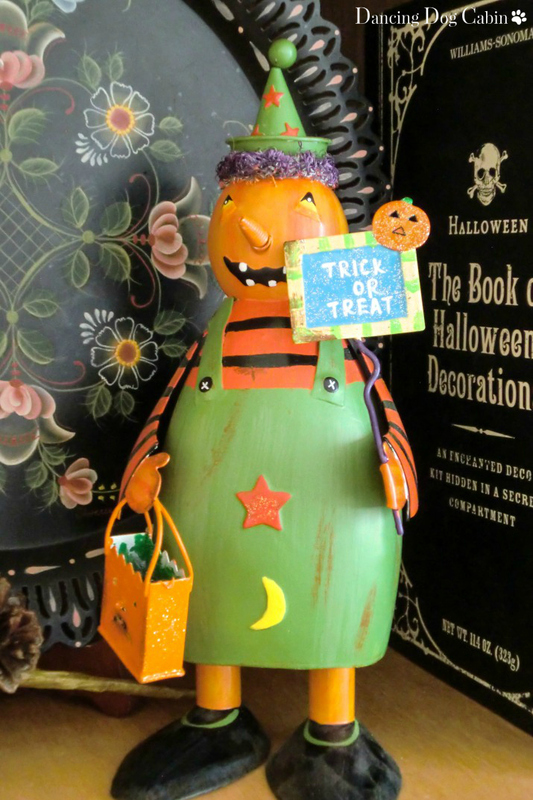 This has to be the cutest Halloween decor I've seen yet. I think it's perfect. 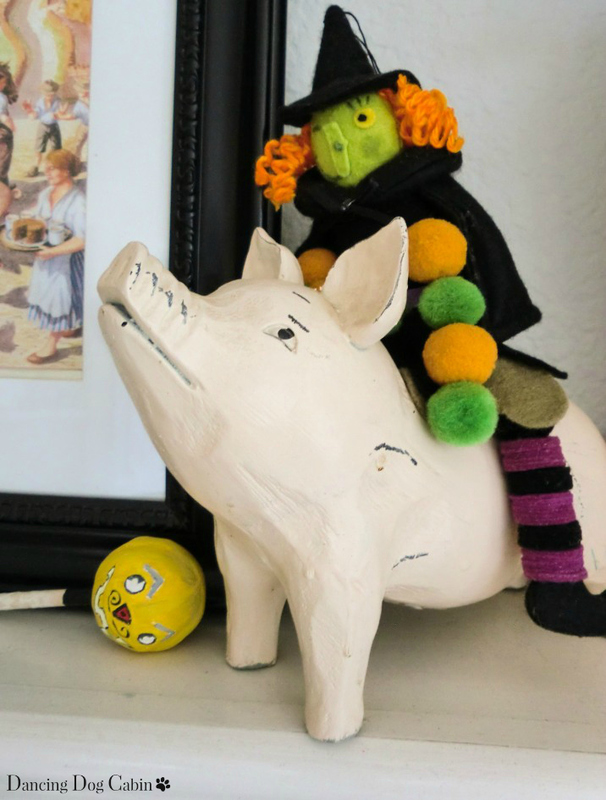 That little pig seeming to look up at the witch on his back cracked me up! I hope you're not working too hard. Thanks so much Mimi! 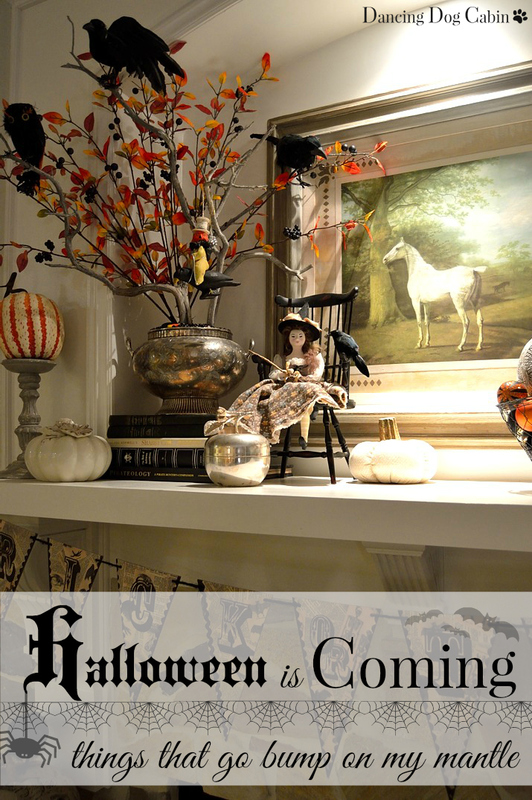 I will definitely be sharing my next post at Five Star Frou-Frou. 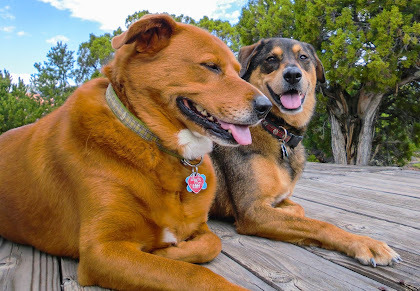 Just delightful! 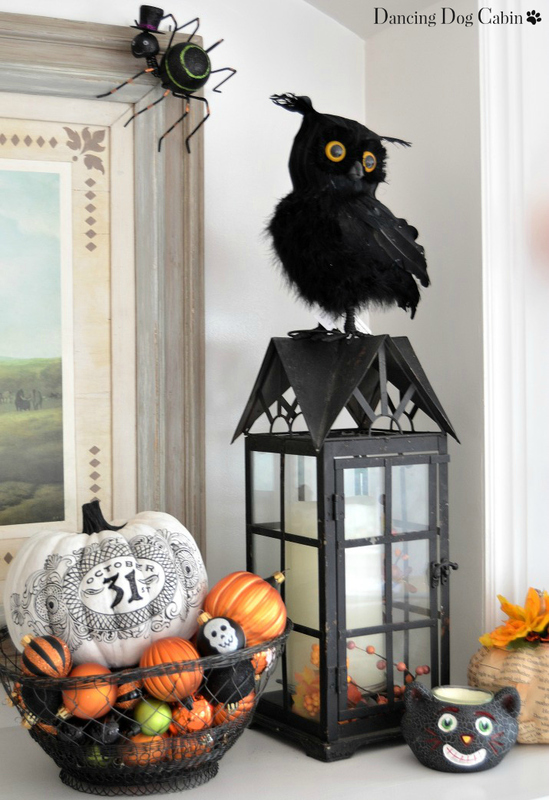 You succeeded in creating a fun and whimsical Halloween mantle vignette, but still managed to keep it classy! Thanks for linking up at Best of the Weekend!